#12 Redlands was the first city in the state to require driver’s licenses. #11 The University of Redlands started in a small building on Orange Street. The U of R, founded in 1907, started in what used to be the restaurant Joe Greensleeves (closed permanently in September 2016). 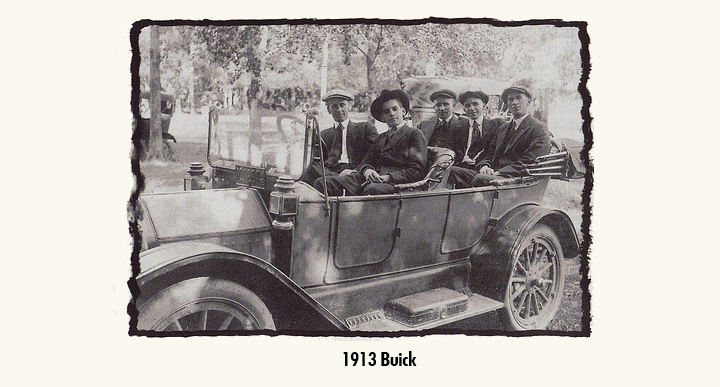 #10 Hatfield Buick GMC is the oldest operating Buick dealership in the United States. 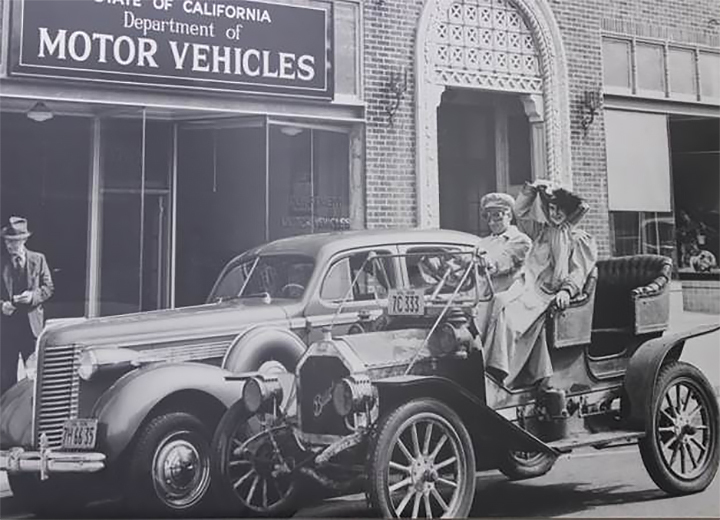 The dealership was originally built in 1913, where the Redlands Mall is today. It moved to its current location, 301 E. Redlands Blvd., in 1963. #9 Early Redlands citrus grove owners could pay for a house in one year. 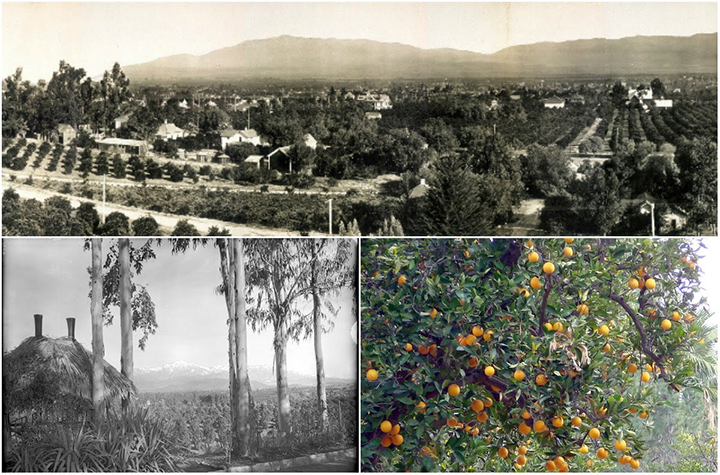 When Redlanders were then living on citrus groves, oranges sold for $5.95 a box. A tree gave about 20 boxes. You could put 90 trees on an acre, and the average person had about 10 acres, or 900 trees. “You could pay for your house in a year,” Talley said. 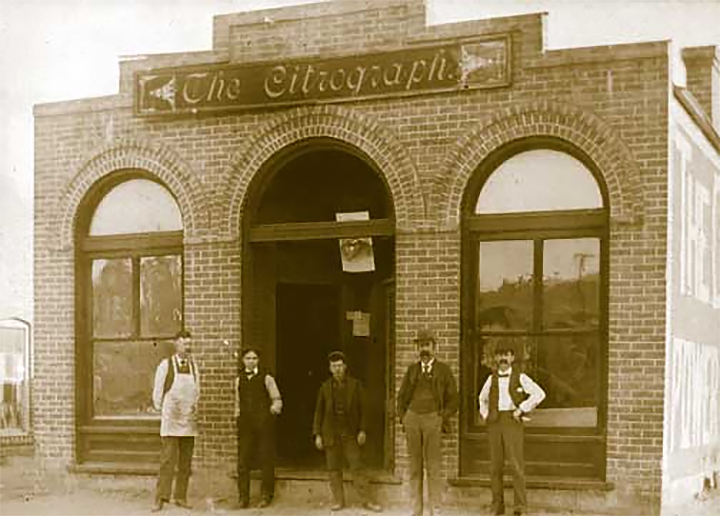 #8 Citrograph Printing, at 127 years old, is the longest-running printing company in the state. 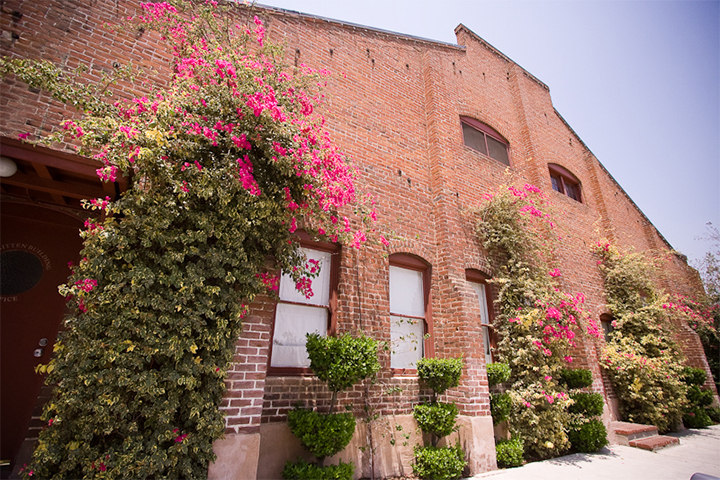 #7 The Mitten Building is Redlands’ oldest citrus packing house in the city. Built in the late 1800’s, the Mitten building was used for packing and sending the citrus out the door into refrigerated railroad cars to begin the trek to the East Coast. On January 28, 2001, Brian Billick guided the Baltimore Ravens to a decisive victory over the Giants by the score of 34–7 in Super Bowl XXXV. Billick graduated Redlands High School in 1972. #5 Redlands High School is the oldest high school in California still operating in its original spot. As a sophomore he collected 17 goals, paving the way for league MVP honors. The next year, he scored 16 times. 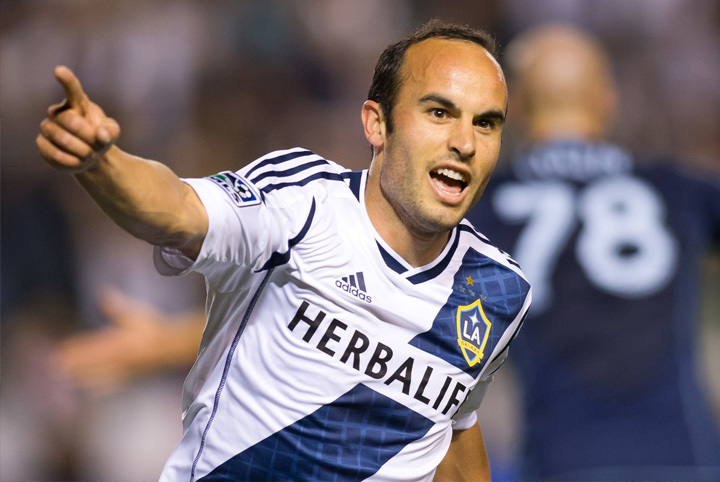 His scoring prowess caught the attention of a larger audience and, in his senior year of high school, Donovan joined the U.S. national soccer program. 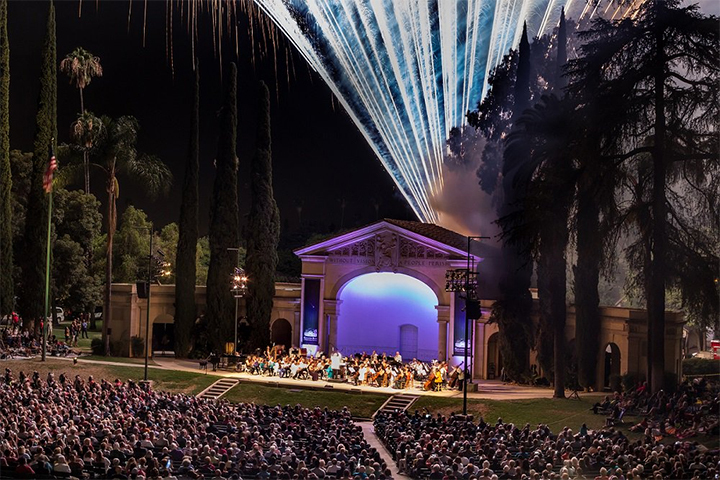 #2 The Redlands Bowl, built in 1930, is the longest running venue in the world where no admission is charged. #1 The land at Opal Street and Citrus Avenue was leased by the famous Earp family in 1864. Behind Redlands East Valley High School, is the site of the Cram estate. 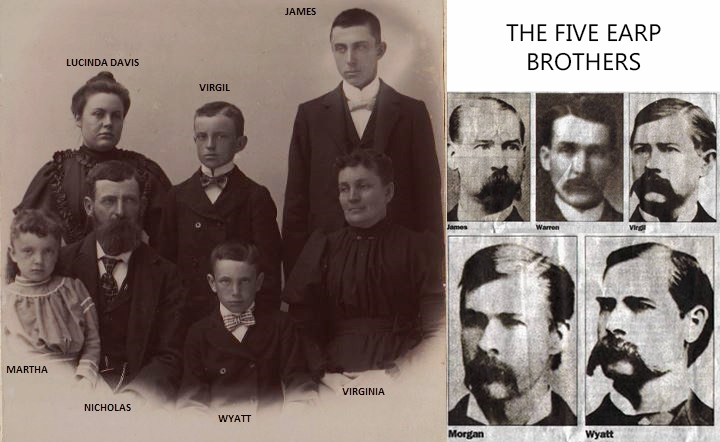 Nicholas Earp farmed the land for two years, but his son Wyatt Earp disliked farm life and sought adventure in San Timoteo Canyon with a freighting and stage line that shipped gold bullion — years before he and his older brothers Virgil and Morgan were in the legendary gunfight at the O.K. Corral. You forgot about famous Redlands Highschool graduate, Ms Joan Baez, folk singer and anti-war activists, Joan Baez and husband anti war protests that sent him to jail or prison? Joan Baez went to the U of R, I have never read that she attended RHS. Yes she did and Pop Showalter was very proud that she had been one of his students. I am Marsha Fulton Ralston class of 68. My sister graduated in 59 & she was there sometime in those 3 years!! She attended but didn’t graduate RHS; did not go to UofR as far as I know. I went to both. Joan Baez attended 1961 or 1962. Did not graduate at RHS. In an interview several years later she was not very complimentary of Redlands at all. My sons grandmother was an Earp. She knew Wyatt when she was youn and lived in Highland. That makes my son whom was born in Redlands an Earp! I had a Mrs. Earp as an elementary teacher at Crafton school in the 70’s. I lived in Redlands for 35 years and loved it. In the movie ET… The guy in the ET suit was from Redlands, went to RHS. I think he was class of 88. He doesn’t have legs and used to scoot around school on his skateboard. My dad’s father immigrated from Mexico and settle in Redlands as a manager of one of the Orange groves. My mom has pictures still. Morning all, here’s a question for you. In the early to mid-50s there was a “nursery school” located on Orange and possibly the brick building that had become that Joe Greensleeves restaurant.The napping cots were upstairs and there was a playground in the back–swings sandbox etc—and a big big tree. Did anyone else go there? Does anyone recall the nursery school name and location? It was undoubtedly a brick building very similar to looking and on that street. A friend in Redlands sent me this link. I love Redlands! I lived there 1957-61 (grades 1-4). I went to Smiley; teachers were: Davis, Read, Knight, Ferguson. My brothers went to Cope and RHS (sr. class pres 1960-61). Then dad was transferred from Norton to McChord in WA. At 65 I still love and miss Redlands. Did anyone reading this go to school in Redlands those years? If so, my brothers or I must have known you! Anyone? Spent many a happy moment or two at Gay’s. You could always find someone who knew your name. 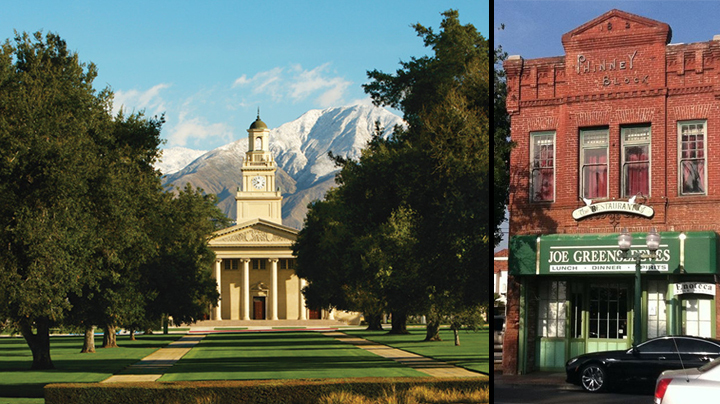 Wasn’t the well known play “Our Town” based on life in Redlands? Forgot, that “Botts Dots”, the raised dots in the middle of the roadway to delineate the street were invented(first implemented) here. Also the part of American Graffiti where the cop car had his emblem hidden by a blanket came from a cop that did this in Redlands.